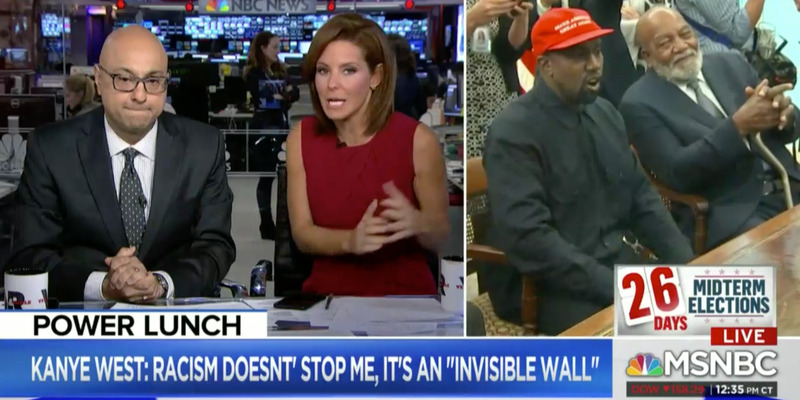 MSNBC hosts Ali Velshi and Stephanie Ruhle had nothing nice to say about Kanye West’s Thursday afternoon Oval Office press conference with President Donald Trump. After airing the press conference live, the hosts spent a large portion of their afternoon hour discussing it. “That was bonkers,” Velshi began. “I’m just stunned across the board,” Ruhle said. 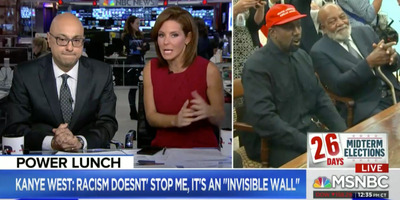 Velshi said that he thought the president and West would stick to the topics the rapper ostensibly came to the White House to discuss: mainly prison reform and reducing violence in Chicago. West’s wife, reality TV star Kim Kardashian West, successfully lobbied the White House to grant a pardon to a drug offender earlier this year.